Corn cobs and stalks is waste from the cultivation of corn. Generally both of the waste disposed of and is not utilized. The costly of energy prices, solution to problems of waste and increased value added by utilization of these wastes are the driving forces of the utilization of thay waste. 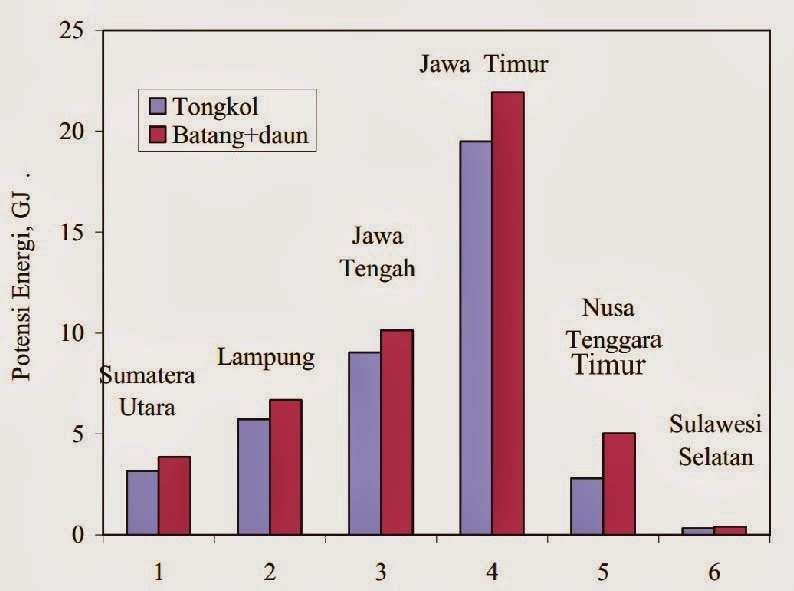 Data for the year 2006 with the production of corn nationally 11.7 million tons, the agricultural waste generated, i.e. 12.1 million tons. With the potential energy of the dried stems and leaves an estimated 66,35 GJ and corncob by 55,75 GJ certainly potential for a source of energy. Dried corn stems and leaves have a calorie value 4370 kcal/kg whereas the corn cob on 4451 kcal/kg at MC 7,53%. Pelleting to be a pellets fuel is the best choice for the energy source. 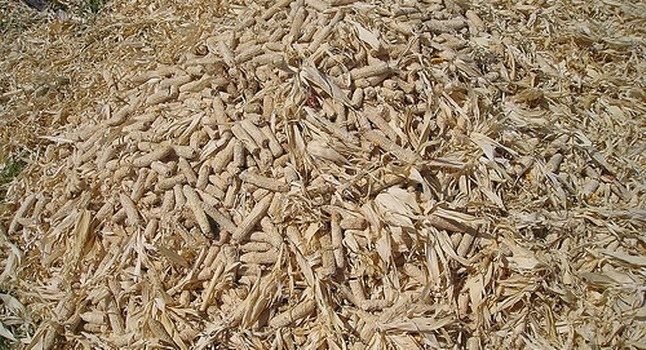 Pellets from waste agricultural corn can be used to fuel stoves on the agricultural area or for industrial or electricity generation and the potential for exporting abroad. Review of pellet fuel origin because from the waste corn agriculture these include biomass pellet or agri-pellets, that its specifications are slightly different from wood pellets. Production technology of pellet from waste corn is also almost the same as the production of wood pellets. 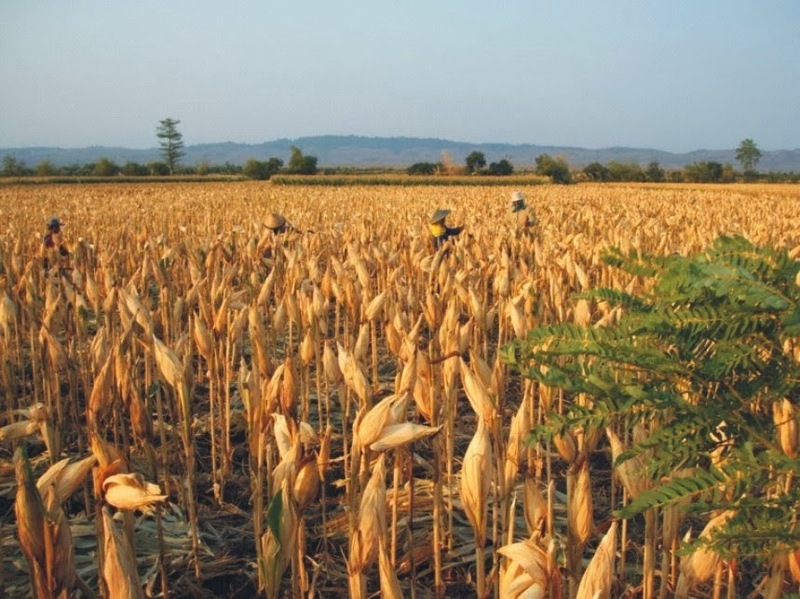 A number of areas where corn production centers throughout Indonesia is potential for developing these commodities due to the availability of raw materials, agricultural waste, tackle the problem of energy needs continue to rise and economic factors. As an environmentally friendly fuel, easily stored and used, as carbon neutral fuel will reduce the impact of climate change due to greenhouse gases and push low-carbon economy.